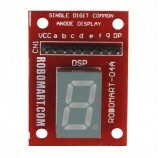 The 5x7 matrix is a common anode type LED display unit. A single matrix is formed by sixty - four LED's arranged in eight columns and eight rows (5x7). The anodes of the five LED's forming one row are connected together. Similarly, the cathodes of the eight LED's of a column are connected together. In this arrangement of LED's, the cathodes are switched to turn the LED's of a row ON or OFF. 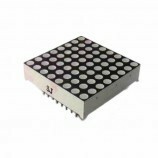 5 x 7 LED matrix. 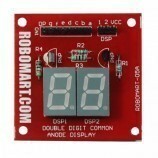 All types of electrical/electronic projects. 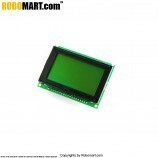 8051/AVR/ARM/PIC/NXP/Infinion/Arduino/Raspberry based matrix led display. 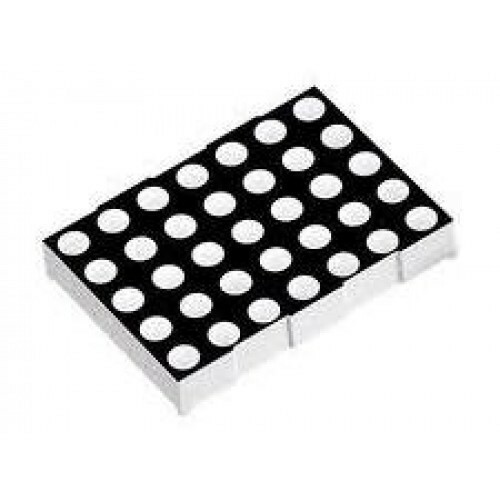 Also Searched as: 5x7 led matrix datasheet, 5x7 led matrix tutorial, 5x7 led matrix arduino, 5x7 led matrix pin configuration, controlling an 5x7 led matrix, 5x7 led matrix driver, 5x7 led matrix circuit diagram, 5x7 led matrix arduino 74hc595.